Ned Holstein of the National Parents Organization testified for change. The State House hearing room seemed an unlikely place for grown men to bare their souls. 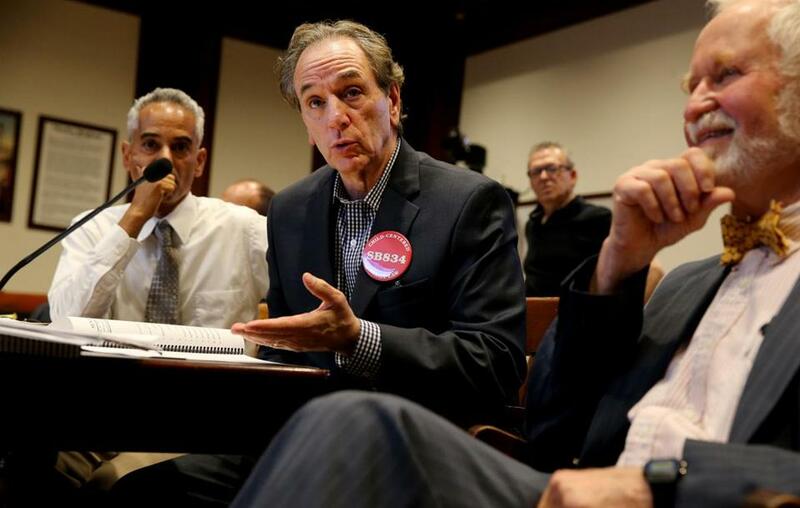 But as father after father took a seat in a committee room, urging lawmakers to support proposed legislation to revamp Massachusetts’ child-custody statute, they laid out the particulars of their divorces and personal lives in blunt detail. The scene could soon repeat itself inside state houses across the country. 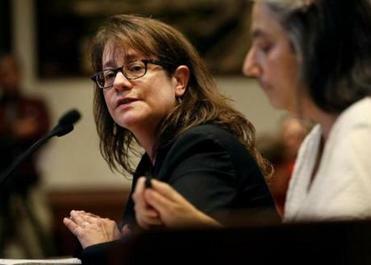 About 20 states are considering measures that move toward more equal custody arrangements for parents following divorce or separation, according to Ned Holstein of the National Parents Organization, a Boston-based group that has been a driving force behind the push for shared parenting. A handful of states have already enacted similar legislation, while several others have formed task forces to examine family-law issues. Battles over custody and child support are as old as divorce itself. But as parenting norms have shifted in the past half-century — the “Leave It To Beaver” setup giving way to one in which 71 percent of women work outside the home and more fathers are engaged in child care — lawmakers seem increasingly willing to consider that long-standing child custody statutes might warrant review. Supporters say changes are long overdue. Shared parenting, they claim, will minimize custody battles and shorten lengthy divorce proceedings. They add that changes would make statutes align more closely with research suggesting children benefit from spending ample time with both parents. One study, released earlier this year in the Journal of Epidemiology and Community Health, found that children living in joint-physical custody arrangements exhibited fewer psychosomatic issues than those living with just one parent. Even as the movement has gained steam, it has attracted critics. Groups ranging from domestic violence organizations to bar associations have expressed concern over blanket statutes guaranteeing parents a certain amount of visitation time. Instead, they argue, custody disputes should be handled on a case-by-case basis, always with a child’s best interests in mind. Maritza Karmely (left) and Jamie Sabino raised concerns that the bill might go too far in its proposed changes. While many agree that having parents share custody can be beneficial, they point out that some parents simply aren’t capable of making it work. For much of the past 150 years, custody disputes typically fell under the “tender years” doctrine, a judicial presumption that it was in a young child’s best interest to be placed with the mother. Joint custody began to emerge as the national norm in the late ’70s, says Ahrons. And though it remains so today, it has sometimes proved problematic. 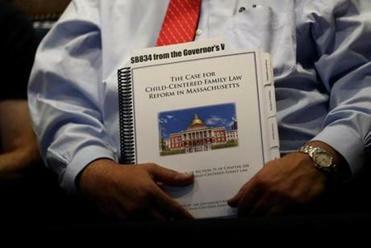 In Massachusetts, discussions about a new approach to child custody ramped up in the spring of 2012, when then-Governor Deval Patrick convened a roughly 20-person committee made up of lawmakers, psychologists, and representatives from state and nonprofit agencies to examine the state’s child-centered family laws. A report issued by the group last year — described by its facilitator as a “compromise” but later denounced by some of the organizations represented on the committee — concluded that shared parental responsibility best serves most children’s best interests, and that a child’s adjustment to divorce is easier when caregiver functions continue in a pattern the child is used to. The result was Senate Bill 834. Stephen Hitner waited to offer testimony regarding the Senate bill that would overhaul the state’s child custody statute and encourage shared parenting. It would also establish sanctions for parents who fail to comply with court-ordered parenting plans, while rewarding those who exhibit a willingness to cooperate with the other parent. “I kind of think it reflects a new generation of parenting,” said the working group’s facilitator, Michael Leshin, a partner at the Wellesley law firm Ginsburg Leshin Gibbs & Jones. A spokesman for Governor Charlie Baker declined to comment on the bill. Others have concerns, among them: that the legislation could give more power to abusive parents, take discretion away from judges, and force hostile parents into a shared system that could prove detrimental to a child. “The way this bill is written, it highlights the rights of the parents over the best-interest analysis of the children,” said Maritza Karmely, an associate professor at Suffolk Law School, who teaches family law. Despite the opposition, there have been small signs of tangible movement. A Utah law that went into effect in May bumped qualifying noncustodial parents’ minimum visitation days from 110 per year to 145. And two years ago, an Arizona law went into effect preventing courts from giving preference to either gender in custody cases. In Massachusetts, lawmakers remain noncommittal about the bill clearing both the House and Senate. For now, Holstein remains optimistic. “When I started this movement,” he said, “we were being totally ignored, and then we were laughed at, and now we’re being vehemently opposed.